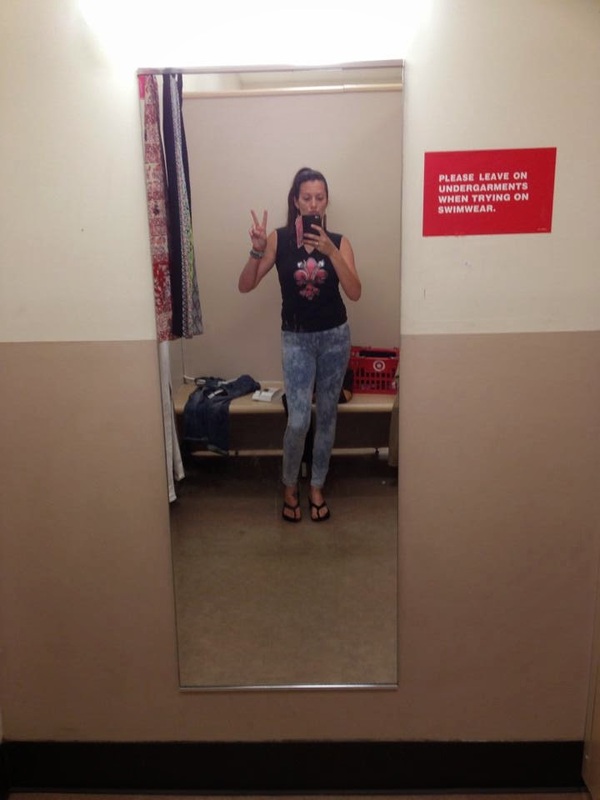 It's Jaderbomb here with a little legging love! Now let me share this with you first...I am not your typical "leggings" kinda girl... I don't really purchase them because I usually can't find a pattern that jumps out at me and says "WEAR ME".... I used to think I was too old to wear tights...until I realized you are NEVER too old! If anything you should wear more tights the older you get! If you are unsure of ways to wear tights here are some ideas. You can wear cute shorts over them, wear a sundress over them or a cute little skirt! There are so many ways, y'all! 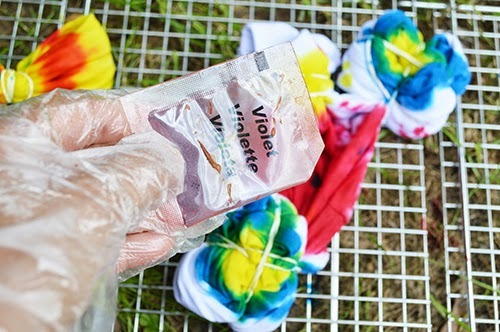 Today I am showing you how to take plain white tights and transform them into Tie-Dyed beauties! Let's get started. Stay tuned at the end and I will show you a picture of me trying on "jeggings" for the first time ever... drum rollllll haha! P.S. 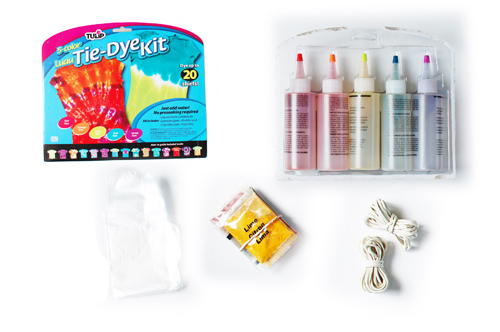 Your kit will come with bottles filled with powder, rubber bands and gloves. 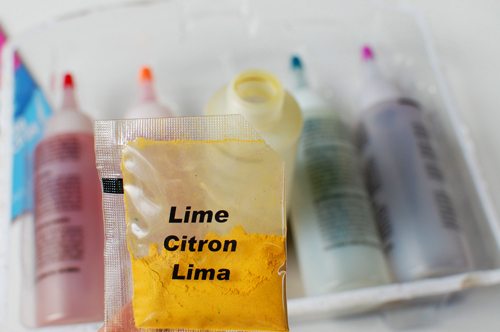 You can also buy powder packets if you need more of one color. 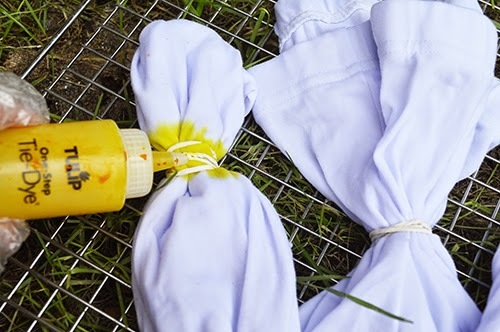 When you tie-dye anything try to use 100% cotton, this works the best! When you open your packet it will come filled with powder. This is what the refill packets look like. I love these packets and they last a long time! 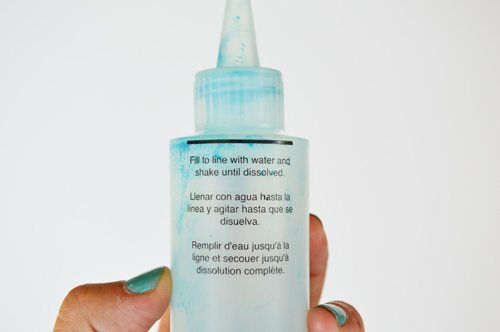 Carefully open your bottle and fill it with water to the black line on the top of the bottle. I like to have a bowl of water on hand but you can use anything to wet your fabric. It's always best to wet your fabric then squeeze all of the water out. 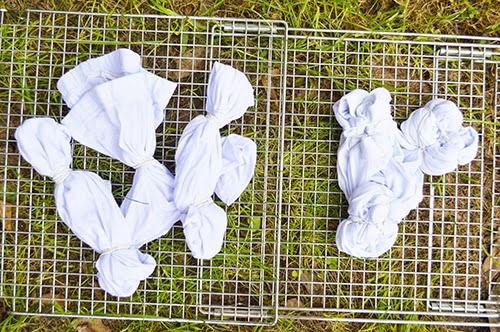 You will use less dye when your fabric is wet. 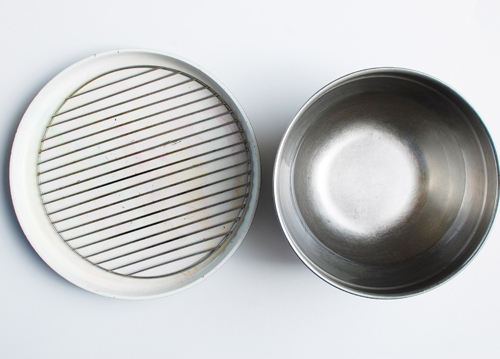 If you are using a small piece of fabric use a small tray and rack. Today I am using a large rack to lay my tights on so the dye doesn't get on the other pair of tights. Have fun with the rubber bands! I always try to keep things symmetrical but you can do whatever you want. Time to start!!! Keep in mind when you put yellow and blue next to each other you will get green, red and blue you will get purple and red and yellow you will get orange. 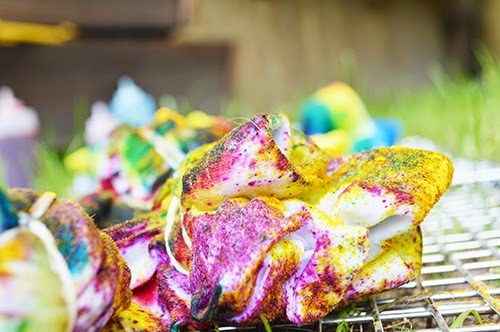 You can absolutely create ton's of other colors with just red, blue and yellow! 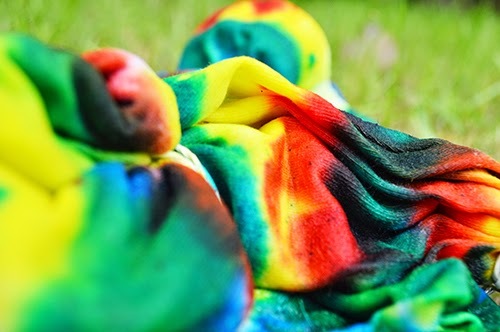 On one pair of my tights I dyed them a little then I opened a packet of dye and sprinkled it over the wet tights. This will create a really cool effect. Check out this shirt I did using the same technique. It's super cool! 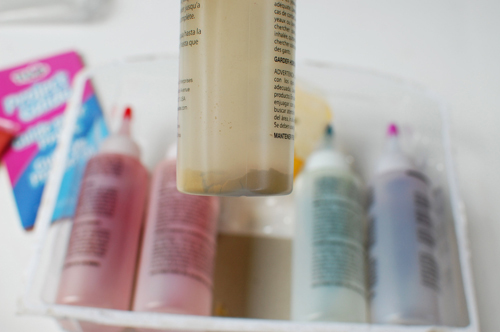 You can see the difference of what liquid dye looks like and the powder dye. Both really cool techniques. DRUMMM ROLLL!! The fabulous JEGGINGS!!! I never thought I would put a pair of these on but y'all I love them! I already have some ideas for them using fabric markers! Love love love these pants! i was looking for something to "control the jiggle" if you will, and these did the trick! they do fit sung, but I'm pretty sure that's the point, some of my workout clothes have waistband pockets too.